Fifteen hours of tremor per day for three days plus significant GPS displacements in north-west Washington suggests that the 2008 Cascadia Episodic Tremor and Slip (ETS) event is underway http://www.pnsn.org/WEBICORDER/DEEPTREM/winter2008.html. Fourteen borehole strainmeters have been installed on the Olympic Peninsula, WA, and Vancouver Island, BC, as part of the Plate Boundary Observatory (PBO) Earthscope network. 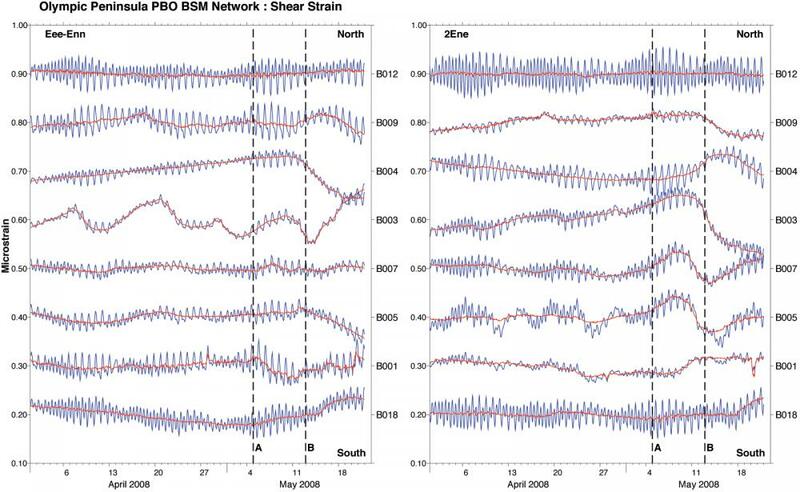 One of the goals of the PBO strainmeter array in this region is to capture transient signals associated with Cascadia Episodic Tremor and Slip (ETS) events which fall between the detection levels of seismic and GPS networks. 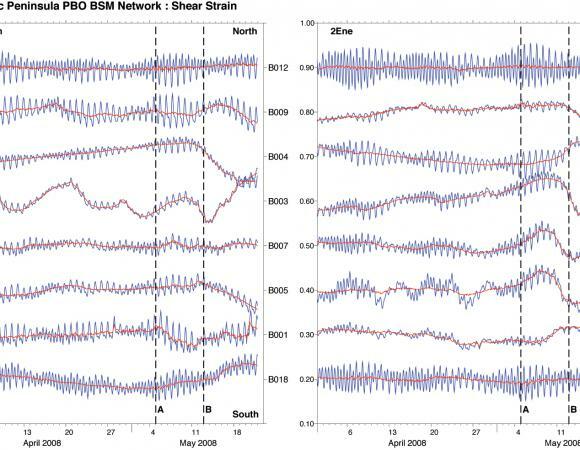 These strain measurements may contribute to the understanding of the physical processes that generate ETS events.